Last Minute Summer Campsites: No Reservation Required! 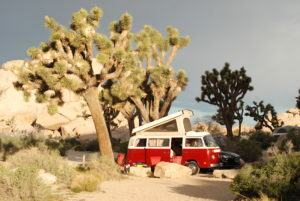 Home › RV › Last Minute Summer Campsites: No Reservations Required! Last Minute Summer Campsites: No Reservations Required! Did you just realize that you’re already halfway through summer and haven’t planned out your road trip or booked any summer campsites yet? Don’t worry! 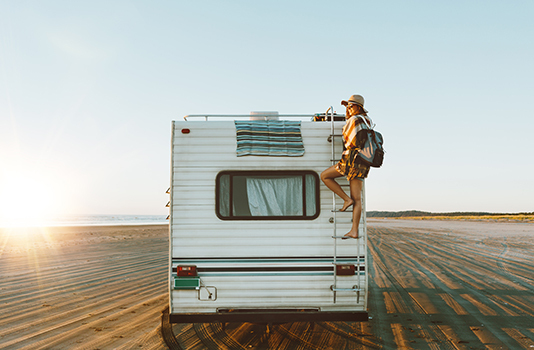 There are fun places where you can park your RV this summer that don’t require any reservations at all. We’ve curated a list of fun parks and campgrounds in three summer road-trip hotspots: California, Arizona and Texas. Each destination is jam-packed with great sights and exciting activities. Just make sure you arrive early! The off-season for Joshua Tree National Park is actually during the summer months, June through September. During this time, all summer campsites are available to RVers and campers on a first-come-first-serve basis. There are seven campgrounds within the park, giving you a wide variety of summer adventures to choose from in just one area. While visiting Joshua Tree National Park, you can go bird watching, backpacking, hiking, horseback riding, mountain biking, rock climbing and more. You may have planned this summer weekend last minute, but there will be more than enough adventuring to do that only requires you to show up! Only about 15 minutes from Mammoth Lakes and in between Sequoia National Park and Yosemite National Park is Convict Lake Campground. This campground has 60 first-come-first-serve sites that don’t require reservations. Many people venture to Convict Lake to catch trout, but the surrounding area offers much more than fishing. In fact, the area offers hiking trails, horseback riding, swimming and biking. 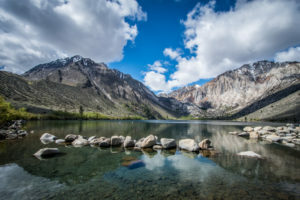 Convict Lake Campground offers a great alternative to Mammoth or Yosemite, but they are still within reach to visit during the day if desired. You and the family can definitely have some last-minute summer fun here. This option for your last-minute camping destination may be a scorcher, but it will still be fun for everyone. 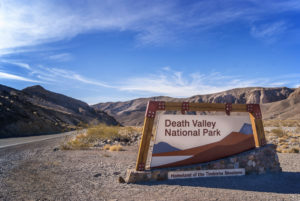 There are 9 campgrounds within Death Valley National Park. They each have various temperatures and outdoor activities depending on the site you choose. There are over 300 summer campsites available that do not require a reservation. Indoors, you can explore the Furnace Creek Visitor Center, watch the park film and check out the nearby Borax Museum. Then, head outdoors for hiking, backpacking, backcountry roads, stargazing and mountain biking. Just don’t forget to bring lots of water during every adventure! Located in the Apache-Sitgreaves National Forests, the Canyon Point Campground offers 20 walk-in summer campsites. This is a popular camping destination in Arizona, so arrive early to grab one of the limited reservation-free sites. 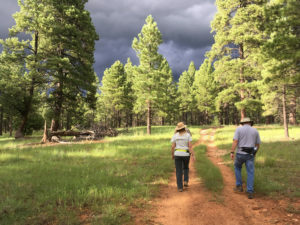 Around the sites are hiking trails to Sinkhole and the edge of the Mogollon Rim. Willow Springs Lake is only 5 miles away, offering fishing and boating opportunities. For a spontaneous summer weekend, Canyon Point Campground can offer a relaxing vacation or an exhilarating getaway. If you’ve always wanted to visit the Grand Canyon, it’s not too late! The DeMotte Campground is located about 7 miles north of the Grand Canyon National Park’s North Rim entrance. The campsite offers picnicking, hiking and sight-seeing. The best part? Half of DeMotte’s summer campsites are first-come-first-serve! That means you still have 19 chances to claim your site before heading to the Grand Canyon to explore. 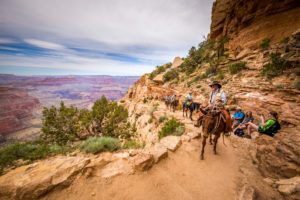 Take in all of its grandeur by going on a mule trip, visiting the North Rim Visitor Center, exploring the many hiking trails and mountain biking along the rim. 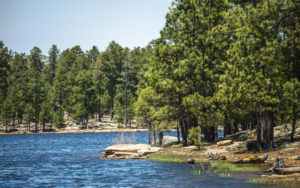 This summer, park your RV at Hilltop Campground, located in the Ponderosa Pine Forest right next to Lynx Lake. Only a few of the campsites are first-come-first-serve, so get there early to claim your site! Once you do, enjoy fishing and boating on the lake, as well as hiking, biking and horseback riding. The area is also known for its rocks and minerals. Therefore, you can go fossil collecting, gold panning and rockhounding in the forest. During this season, you might also spot birds like osprey or javelina by the lake, too. 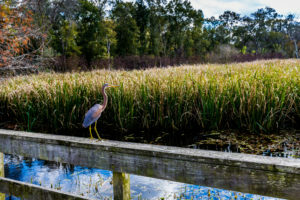 Just about an hour outside of Houston is the picturesque Brazos Bend State Park. With over 35 miles of trails for hiking, biking and horseback riding, you’ll pass lively wetlands, beautiful lakes and hardwood forest. Fishing from shore or pier is popular, but watch out for alligators, too! Make sure you read the alligator safety tips and stay in designated swimming areas if you venture to Brazos Bend. There are 15 walk-in summer campsites available at the park that have water, restrooms and picnic tables available. Don’t forget to stop by the Nature Center to learn about the three ecosystems located in the park and the wildlife that inhabits them. Lake Meredith National Recreation Area is a haven for humans and animals alike, offering scenic views, unique hiking trails, and exciting off roading. There are 11 campgrounds available, but Fritch Fortress Campground is RV accessible and requires no reservations. 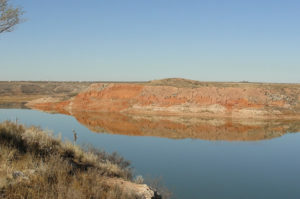 Pack your fishing gear and catch bass, catfish, trout, and walleye from multiple shores around Lake Meredith. Bird watching, boating, horseback riding, and hunting are also popular activities in the area. There’s so much you can do at Lake Meredith that you’ll never want to go home! 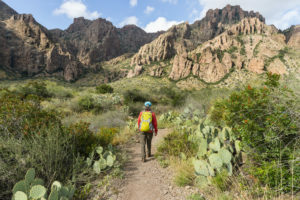 Away from all the noise of civilization, in Far West Texas, lays the great Big Bend National Park. There are three campgrounds with over 50 summer campsites available on a first-come-first-serve basis. With more than 200 miles of roads and hiking trails, there is much to see by drive or by foot. Discover over 500 species of animals, including beavers and woodpeckers in the day and foxes and ringtails at night. The Rio Grande River also borders the park for 118 miles, offering fishing, rafting, kayaking, and canoeing. The list of things to do and places to explore is truly never ending at Big Bend. Are you feeling better now about planning your summer RV road trip this last-minute? There’s still one more thing to consider: Specialty RV Insurance. Make sure you have the right coverage, so you can be protected in an accident or mishap on the road. Call an RV Insurance Specialist today at (866) 501-7335 to learn about your coverage options. The information in this article is obtained from various sources. This content is offered for educational purposes only and does not represent contractual agreements. It should not replace manuals or instructions provided by the manufacturer or the advice of a qualified professional. The definitions, terms and coverage in a given policy may be different than those suggested here. Such policy will be governed by the language contained therein.